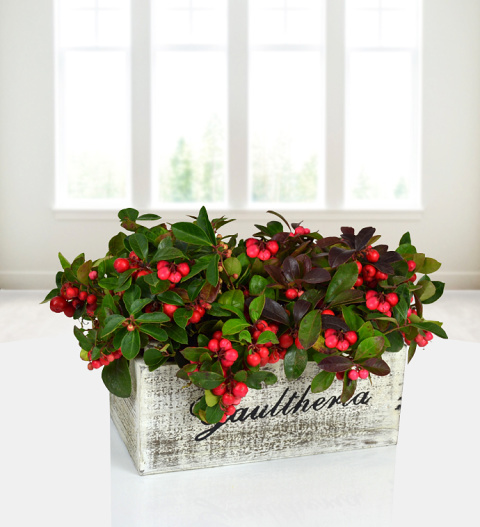 Our Red Berry Trough is a festive favourite at Prestige Flowers. With the traditional green and red theme; the Winter berry (Gaultheria) plant is potted in a very stylish pot, perfect for display indoors and outdoors in warmer months. The gift is fun and easy to look after and comes with a free box of Belgian chocolates. The red Berry trough is available for UK next day delivery. Chocolates may contain nuts.